Konzelman, who spoke before the Senate Subcommittee on the Constitution, revealed that since the film’s release on March 29, these workers approached Johnson’s nonprofit, And Then There Were None, and have indicated an intent to change their lives. The “Unplanned” director went on to say that these individuals are truly looking to change their lives (you can watch this portion of his testimony at the 2:52-mark here). The filmmaker also noted that this is evidence that “Unplanned” isn’t portraying these people as monsters. Instead, some workers appear to find something redeeming about the movie, and are taking personal action as a result. As Pure Flix Insider previously reported, the congressional subcommittee hearing, titled, “Stifling Free Speech: Technological Censorship and the Public Discourse,” also dealt with the recent suspension of the official Twitter page for “Unplanned,” among other claims of censorship. 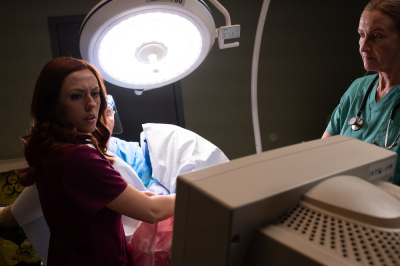 Numerous stories have emerged about the filming of “Unplanned” as well as the impact the movie is having on the masses. Bratcher, who portrayed Johnson in the movie, discussed her own journey toward accepting the role — and the ways in which faith played out on set.